(…) Ireland’s current bleak economic reality also serves as the backdrop for another recent small scale production produced by Purple Hare Theatre Company, that examines an important social issue. 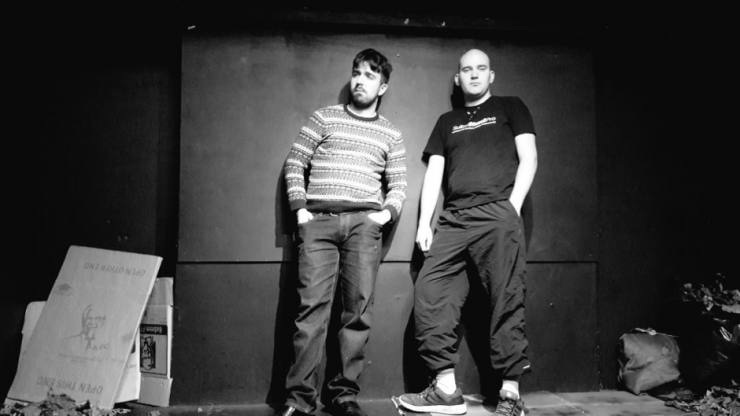 Taking place above a city centre pub at the improvised theatre space The International Bar, Mark Richardson’s Anonymous is about homelessness. It is about how men with jobs and families end up living on the streets. How they survive and how friendship and art can provide hope in even the darkest corners. One of the main characters, Sean, is a poet. This is something he largely keeps secret, writing his thoughts in his notebooks, the only items he has left that are his. Under Nathalie Clement’s able direction, we see how writing helps Sean to feel human and fill his endless days. It might also be his only way out of poverty. The two central characters Sean and Dolan are both men who once lived in relative comfort until bereavement and unemployment tore their lives apart. No one wanted things to turn out the way that they did. Anonymous highlights how everyone is just a step or two away from losing everything. The staging echoes the narrative. Sean, played by Zeff Lawless, makes his home on the floor; alone, next to bags of garbage. When Lawless speaks though, the audience hears someone ostracized from society who they can also relate to. Richardson manages to bring empathy back into the conversation around homelessness. Walking out of the play, I noticed people huddled in sleeping bags in shop doorways, and it was a startling reminder that homelessness is all around us. The play works to humanize people we might otherwise walk past, feet quickening, eyes averted. By introducing the audience to individuals who just happen to sleep on the streets the audience respond to their humanity and real human fears and hopes. At the moment theatre productions such as The Collector and Anonymous are tackling important issues that affect the audiences’ everyday lives. As older, more traditional ideas of masculinity, of how to live and work are being challenged on all fronts, the theatre is serving as one stage where these issues can be worked through.